President Trump Considering Coup Against Socialist Dictator? Article from OilPrice.com by Nick Cunningham. 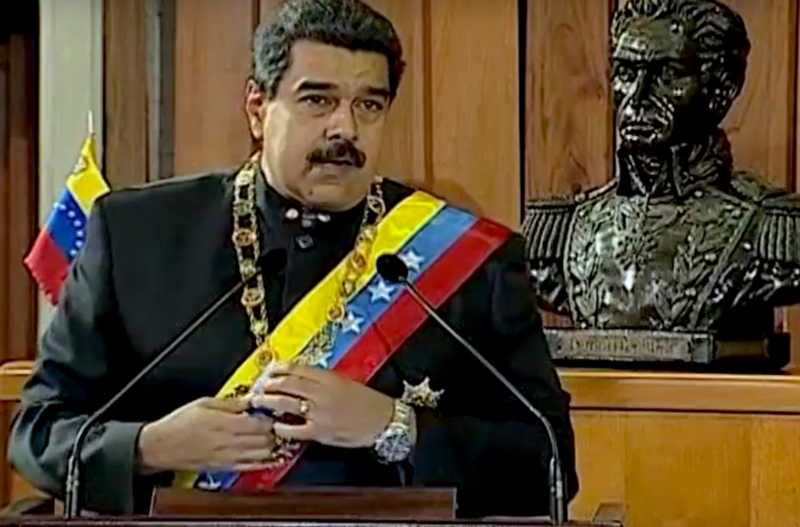 The Trump administration and some others in the U.S. government have sent some not-so-subtle hints lately that they are open to a military invasion of Venezuela to oust President Nicolas Maduro. “It’s a regime that frankly could be toppled very quickly by the military, if the military decides to do that,” President Trump told reporters on the sidelines of the UN General Assembly on Tuesday. The words seem to offer some encouragement for a coup, which may not come as a surprise because the New York Times published an investigation in early September that found that the Trump administration met secretly with Venezuelan military officers over the last year to discuss an overthrow of Maduro. 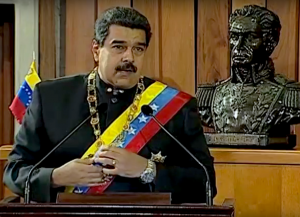 Venezuela is in tatters and there have been previous signs that Maduro’s grip is tenuous, including the renegade helicopter pilot earlier this year and the bizarre scene in which drones exploded during a military parade in August near Maduro. Read the entire article at OilPrice.com. Yeah, it’s worked so well in the Middle East. What part of “America First” doesn’t he get? That’s really not the best idea I’ve heard from Trump; stick to “America first” for now and get America straightened out. Let the Venezuelans deal with Maduro or not; they elected him, after all. Go For The COKE! Just az The OPIUM in LAUGH Again As STAIN! Better the OAS face its responsibilities and support the regime change.. I would leave Venezuela, Cuba, North Korea, and Nicaragua as standing examples of how a few dictators at the top become billionaires while ordinary citizens who were stupid enough as “useful idiots” in Venezuela and Nicaragua were stupid enough to vote them in to get their freebies. Will Democrats in the U.S. learn from this? I doubt it!